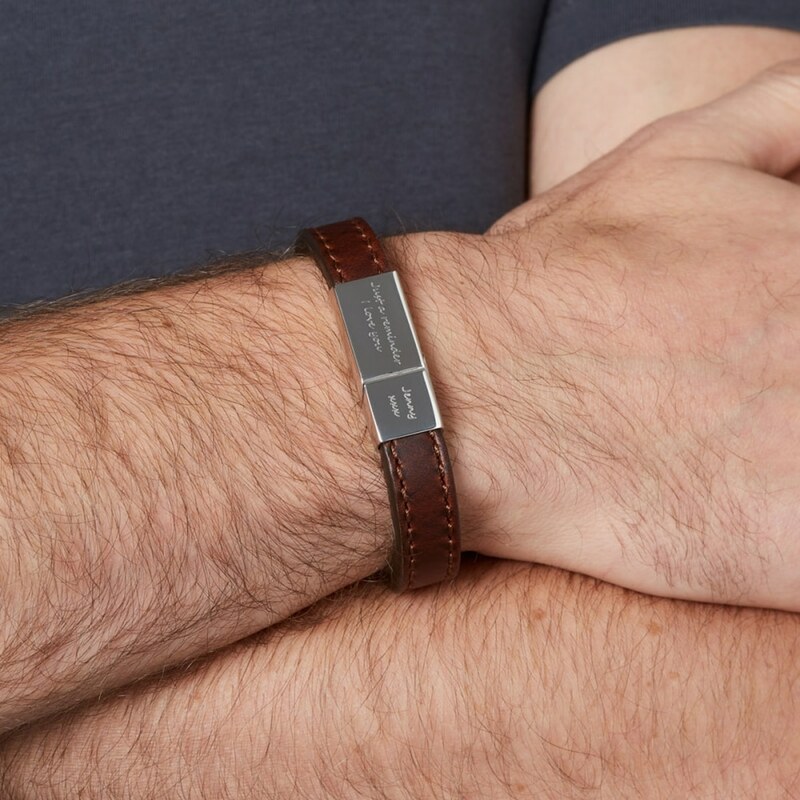 It’s no secret that men like to wear a bit of bling, however, they certainly like their bling to be stylish, modern, meaningful and discreet. 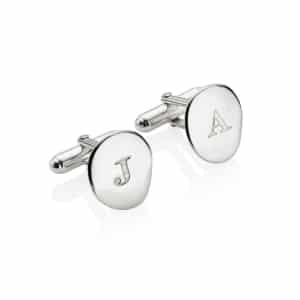 Men often prefer their jewellery to have sentimental value therefore having something personal to them is definitely a tick in the right box. 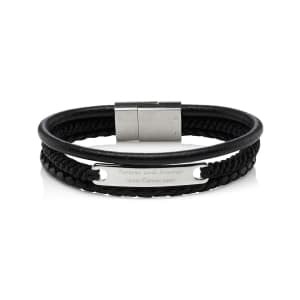 Our masculine and personalised bracelet is the perfect gift for your significant other or a male. 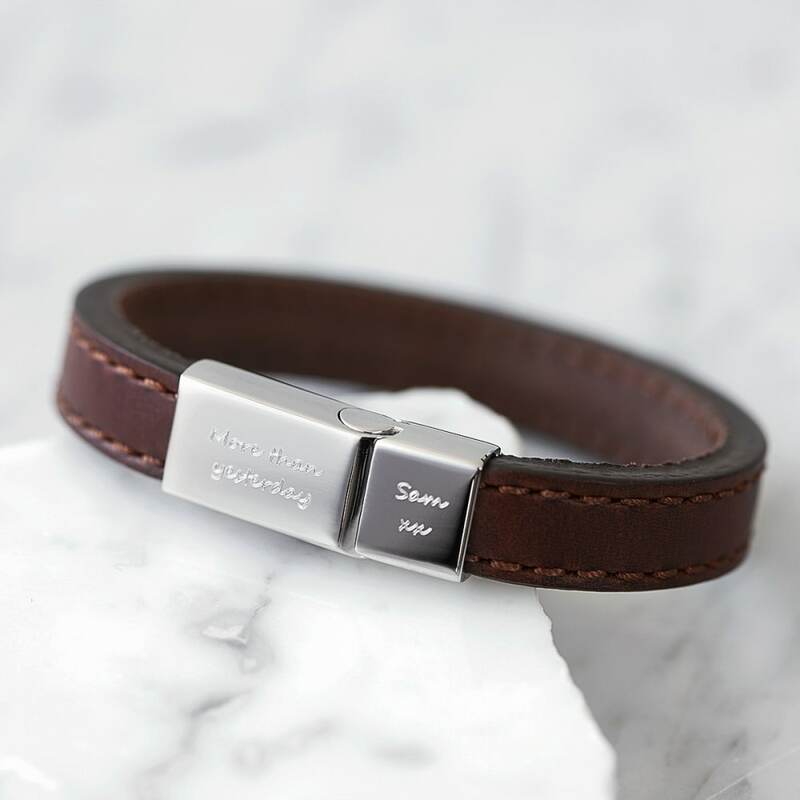 Our personalisation gives you the opportunity to have whatever message you like engraved onto your bracelet making it perfect for all occasions. 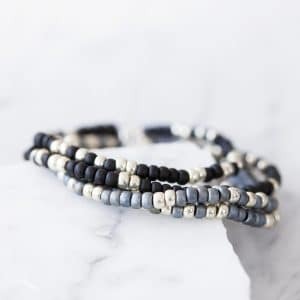 The larger clasp on the left is suitable for up to 10 words and the small clasp on the left up to 4 small words or a hand-drawn symbol such as a heart. 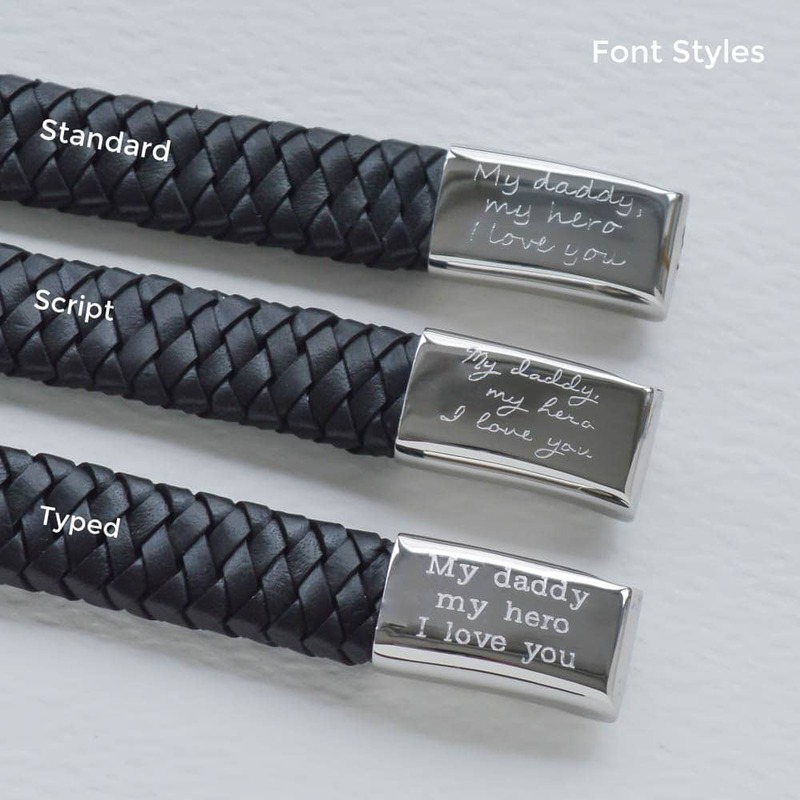 Three scripts are available or we can engrave from your own hand writing. This does incur an additional charge, please do contact us via email once your order is placed. 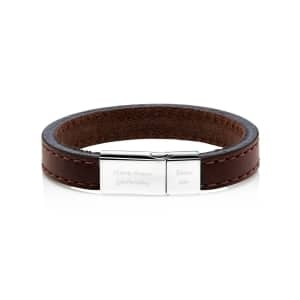 Or choose a plain bracelet, no engraving. To open lift the small clasp (in your right hand) upwards. It just slots in and out and has an internal clip for extra security! 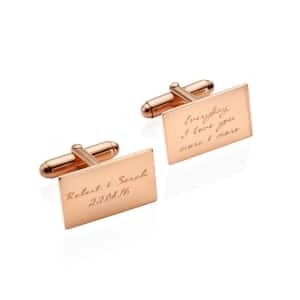 Service rating : The website was easy to order from and my purchase was delivered very quickly and lovely quality, an excellent service. 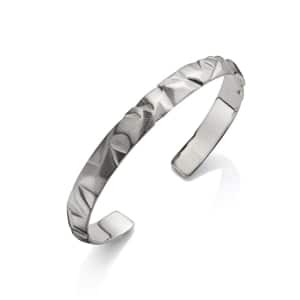 Product : Lovely bracelet which my husband loves.